If you had asked George Dalzell, a professional psychiatric social worker, a few years ago if he thought he'd be talking with the dead, he would have said, 'no way.' Yet, when his close friend Michael, an airline purser from Germany, was killed, things started happening that permanently shifted Dalzell's "perspective on reality." As a therapist, Dalzell had counseled people who claimed to hear voices. Now, Dalzell was hearing a voice himself, and it was that of Michael. The voice revealed information about Michael's private life and possessions. Other phenomena followed, including apparitions of Michael, house lights that blinked on and off, alarm clocks that got moved, and rose petals left in the pattern of an angel. "Michael appeared to have brought evidence that there was a dimension beyond our five senses, and that he could keep the channels open," writes the author. In all, Michael opened the channels to seven friends, family members, and colleagues. He provided incontrovertible signs that proved it was he who was communicating with them. 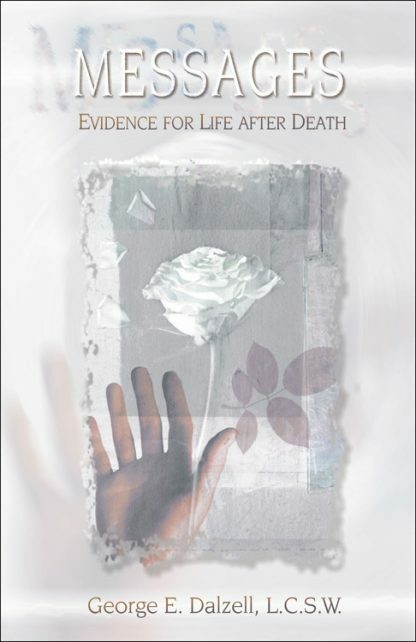 Further confirmation of Michael's continued existence and the legitimacy of his after-death communications was provided by independent contact with professional psychics and mediums. In Messages, Dazell adds empirical confirmation to a field that is gaining increasing popular and scientific respect. His encouraging conclusions may comfort grieving families and calm the natural inclination to fear death, with its perceived separation and loss.